This is soil that has a pH level of below 7. Acidic soil is good for plants that are not lime tolerant as it does not contain lime. Sometimes acidic soils are caused by poor drainage, but generally the pH of your soil is a naturally occurring factor. To increase the pH of your soil, you can add lime. Many lawns suffer from compaction – when they get trampled on, the soil compacts, and this means that oxygen can’t get to the grass roots. Aerating (sometimes also known as spiking) is the process of pushing a garden fork about 5 inches into the soil throughout the lawn to provide more oxygen. On clay or waterlogged soils you may want to use a hollow-tine aerator which will extract plugs of soil each time. You can also buy motorised aerators, or even spiked shoes that you use to walk over the lawn! Aerial roots are roots that are above ground and generally cling to other plants in order to keep the plant in place. Climbing plants for example have aerial roots, as do many orchid varieties. This is a process that helps plants that do not easily root from cuttings, for example Magnolia or Jasmine. It means you are able to form new plants from the cuttings by wrapping the stem with damp moss, which in turn encourages new roots to form. You take the stem from the old plant, cut a small wound and wrap around that section of the stem with plastic wrapping. You then pack this sleeve full of damp moss, seal and then wait for new roots to form before you can pot up your new plant. Algae is an aquatic plant form that can be found in pond water. It contains tiny non-flowering plants that feed on minerals found in pond water, that are a result of plant matter and soil being washed into the water. This is soil that has a pH level of above 7. Alkaline soil is good for plants that prefer lime, such as brassicas. It can be difficult to reduce the pH if you have alkaline soil but adding a mulch such as leaf mold could help. Alpines are small, compact perennial plants that are generally hardy and are tolerant of cold winters, as the name suggests. Generally they need a neutral or alkaline well-drained soil, as they don’t like wet soil. Due to their small size and drought tolerance, use in a rockery or between paving slabs is recommended. Good examples of alpine plants include Thyme and Sedum. An annual plant completes its entire life cycle in one season. This means it grows, flowers and seeds and then dies all within a season, or for slightly longer annuals, no longer than a year. An aquatic plant can be grown in water, such as in a pond or water feature. They can be submerged but generally they float on the surface, anchored by roots from the bottom of the pond or feature. A good example of a popular aquatic plant is the water lily. An arboretum is the name for a garden of trees. This might be for display or for study such as in a botanical garden. In gardening terms, an axil is the part of the plant between a leaf and a stem, and is also the place where flowering plants develop buds. Botanists often use the axil of a plant to help identify it. This is a bud which has grown from the axil of a plant, such as with most flowering plants. The axil of a plant is the section between the leaf and the stem. Some plant types can be sold and shipped with their roots exposed, as opposed to planted in a container with soil. This means the plant remains in a dormant state, so once bought and planted in your garden they can acclimatize quickly to their new environment. Plants that are commonly sold bareroot are roses and fruit trees. Taking basal cuttings is a way to increase the stock of your plants for free. Basal cuttings are taken in spring, and can be taken from young small plants. Select a strong side shoot and cut diagonally with a sharp knife, just above the point where it connects to the roots. Remove the lower leaves, dip the end in hormone rooting power and insert into a small pot filled with compost and a little grit. Cover with a plastic bag to propagate. Delphiniums and phlox make good candidates for basal cuttings. Bedding plant is a term used for an annual plant that is used in flower beds, containers or hanging baskets, for temporary or seasonal decorative purposes. They are used to fill gaps and add colour to borders quickly, as most are fast-growing or sold ready to plant. Good examples of bedding plants includes pansies, petunias and begonia. This term is used to describe a plant that bears flowers of two distinctly different colours. Often these are a result of careful breeding, but they can sometimes happen randomly as a result of a mutation. A Biennial plant completes its life cycle within two years. Most often with biennials, you will see growth of leaves during the first year, and then flowering and seed production during the second. This could be anything that breaks down over time and will not cause any detrimental effect to natural surroundings. For example, bark chippings are biodegradable, because they will slowly rot down and form part of the soil underneath them. This means any natural method of pest control, for example the introduction of a predator or parasite that will reduce pest population. Biological pest control does not involve using any chemicals to control pests. Blanching, when used in gardening terms, is a process used to get the best flavor from vegetables such as celery or leeks. Covering the plants with soil or boards prevents further photosynthesis, which in turn keeps the vegetables pale, tender and sweet. Blanketweed is a form of pond algae made up of long fibrous strands that form a dense floating mat. This mat might cling to your plants or the side of the pond, and should be removed by hand or with a cane. A bog garden is a very damp or waterlogged area, often near a pond, where specific plants that thrive in these conditions can be grown. These plants are known as ‘Bog Plants’ and examples include Iris Ensata and Hosta. This is a term used to describe vegetables that have flowered and produced seeds prematurely due to unusually high temperatures, drought or starvation. This is an unwelcome development, as in order to ‘bolt,’ a plant will often divert energy away from producing the edible portions of the crop – resulting in low or poor quality harvest. Examples of vegetables that are more inclined to bolt are lettuce, spinach and brassicas. This is a broad term that can mean anything relating to the scientific study of plants, including their genetics, physiology, structure and ecological importance. A botanical garden, for instance, is a garden which is often on display but is also being grown for scientific reasons. The botanic name of a plant is usually its original Latin given name. This is a method of propagating plants that involves applying heat from beneath the plant in order to induce early germination or growth. It is most often used to stimulate growth in plant cuttings. Brassicas are vegetables such as cabbage, broccoli and cauliflower that all come from the same plant species. This is a term used to describe the growing stage of a plant when the bud opens up and new shoots begin to grow from it. Broadcasting seeds, or broadcast sowing is a method of sowing seeds that requires an even scatter over the surface of the soil rather than sowing in lines or drills. Lawn seed, for example needs to be broadcast sown, to ensure an even covering of lawn seed and no bare patches. The bud of a plant is the small circular protrusion which grows from a stem and develops into a flower, leaf or shoot. The Bud Union is the section of the plant where a bud has been grafted to a rootstock, and can usually be seen at soil level. A bud union is caused by ‘budding’ which is the process of grafting two plants together in this way. Roses and fruit trees are examples of plants that you might find have a bud union. Bulbs are small round storage organs from which a plant will grow, that are planted underground and often lie dormant, waiting to produce a plant until the appropriate time. For example you would plant a Daffodil bulb in autumn, which would then lie dormant underground until spring when the plant can begin to grow. This is a name for plants that thrive in lime-rich soil. Brassicas and Alpine plants are examples of plant families that need an alkaline or lime soil to thrive. This is the name for the upright stem of a raspberry or blackberry plant. Both soft fruits grow from canes which are often tied to wires or fencing for support. Chitting is a method of preparing seed potatoes for planting by removing all but the strongest growth sprouts. Chlorophyll is the pigment that causes the green colour we see in most plants. This pigment is a vital part of the plants life cycle, as it allows the plant to absorb light which then provides energy for photosynthesis. A climbing plant is a plant that naturally clings to surfaces such as a fence or trellis, and grows up and along it. Some climbing plants, such as Ivy, will cling to surfaces naturally and will even climb up brick walls. Others, like honeysuckle, need a framework to climb up, for example wires or a trellis. Some plants can be trained to climb but are not naturally climbing plants. A cloche is a small transparent cover used to protect young outdoor plants from cold weather. These can be made of plastic or glass, and come in different sizes and shapes such as domes or squares. They are useful for protecting individual half-hardy plants without the need for a greenhouse – as well as preventing damage from pests. Cold frames are a smaller alternative to a greenhouse, and they are usually fixed onto the side of a house by three low brick walls and a glass roof that can be lifted to access the plants inside. Cold frames can be used to overwinter tender plants and acclimatize indoor sown plants, and are a smaller and cheaper alternative to a greenhouse. Compost is a broad term that generally means decomposed organic matter. You can make your own compost by breaking down waste materials such as fruit and vegetable scraps, or you can buy compost from a garden centre for a specific purpose. Compost can be used for sowing seeds and potting plants, rooting cuttings, or as a mulch over your beds and borders. It often contains fertilizers and nutrients that are specific for the purpose. A conifer is generally known to be a perennial evergreen plant that produces seed-bearing cones. Conifers come in all different shapes and sizes, from small shrubs to enormous trees. Yew and juniper are good examples of conifers that will work in your garden and provide colour and structure all year round. This is a weed-killer that will kill any plant it comes into contact with and is not selective. To work, a contact weed-killer should be applied to any weeds during the growing season of the plant and in the daytime. A coppice is a section of woodland where the trees and shrubs are periodically cut back to ground level in order to stimulate new growth and provide wood. A cordon is a plant that is trained to grow from one main stem, by removing all side shoots. They can been grown upright or at an angle, and are often used as a way to save space, for example growing fruit trees such as apple and pear as cordons. A corm is an underground storage organ from which a plant grows, made from the thick base of a stem. They are planted in the same way as bulbs, and each year the existing corm will die off and the plant will produce a new one above it. A cover crop is usually planted between main crops to protect and enrich the soil, as well as prevent weeds and erosion. Crocks are broken up pieces of pot that are placed in the bottom of pots to help with drainage, as they prevent soil from blocking the holes at the bottom of the pot. You can also use pebbles in this way. Crop Rotation is the process of moving crops around in your vegetable plot and growing them in different locations each year. This is done in order to limit insect infestations and diseases, and to maintain good soil. The crown of a plant is the part at the top of the roots of a perennial plant, where the new shoots grow from. This can normally be seen at the soil surface. A cultivar is another word for a different variety of a plant. New varieties of plants generally evolve or are bred through cultivation, hence the name cultivar. The cultivar name is often seen in quotation marks at the end of the name, for example Clematis ‘Aotearoa’ where Clematis is the plant and ‘Aotearoa’ is the cultivar, or variety. To cultivate something means to grow and sustain it. Cultivation of land can also mean to prepare an area for crops and gardening. A cutting is a small section of root, stem or leaf taken from one plant which is then used to grow another. Taking cuttings is a cheap way to increase the stock of plants you have without buying anything new. Cuttings compost is a specific type of compost mix that you can buy that is used to root cuttings into new plants. It usually contains of plenty of horticultural grit, in order to aid drainage and prevent the cutting from rotting. A cylinder mower uses exposed cylindrical blades to cut grass, unlike rotary mowers, which cut grass with a single blade in a circular motion. Cylinder mowers are best for cutting short grass. 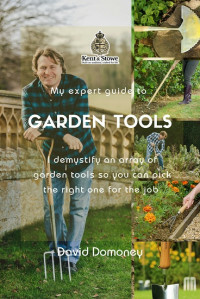 A daisy-grubber is a tool used to dig weeds out from the lawn. Its long two-pronged fork is designed to lever out long-rooted and difficult to get at weeds, without disturbing the surrounding soil. Damping Down is the process of wetting the floors and surfaces in your greenhouse in order to cool it down and add humidity. It’s useful to do this on very hot sunny days, to stop your plants from wilting in the heat and becoming damaged by it. Damping off is when a young seedling plant is killed by a fungal infection which is often a result of very humid conditions or poor drainage. The fungal infection causes rotting at the base of the stem of the plant, which causes it to collapse. Deadheading is the process of removing dead flowers from a plant. This stops the plant from putting energy into forming seeds and therefore allows it to flower for longer, as well as making it look neater overall. Any plant that is described as deciduous will lose its leaves over winter. Trees and shrubs do this to protect themselves over winter by remaining in a dormant state until their leaves grow back again in spring – a little bit like how some animals hibernate. 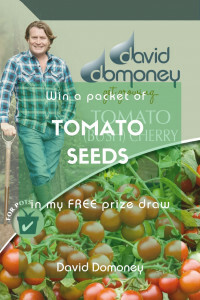 This generally refers to a tomato plant that stops producing new stems once the flowers have formed. Determinate tomato plants are usually smaller and can be grown in containers. A dibble stick, or dibber, is a small wooden tool used to make pockets in the ground for planting seeds or transplanting. This means sowing seeds outdoors straight into the ground where you want them to grow, rather than starting them out in small pots, seed trays or propagators. Spinach and lettuce are good examples of crops that can be grown this way. This means removing the buds of a plant to prevent it from flowering, or to direct the plants energy to current flowers to make them larger. Dividing is a way of creating multiple new plants from one old one by separating the plant into smaller sections and then replanting in different areas around your garden. Some large perennial plants need to be divided every few years to stop them from becoming congested in the space they have. Plants that lose their leaves in winter are said to be in a dormant state, as are bulbs planted in the ground over winter. It just means that the plant is at rest and not actively growing during this period, but is still living. A dot plant is a term used to describe any plant used in the arrangement of a flower bed that stands out amongst the other plants in order to provide structure. They will usually be of a contrasting height to surrounding plants, and are often tall striking plants such as Abutilon or Canna Indica. A drill is a straight, shallow furrow or groove made in the soil and used for sowing seeds into. Some crops are planted in drills, such as lettuce. Sometimes a drip line refers to the area of ground underneath the circumference of tree branches where rain falls in a more concentrated amount – a little like the way it falls from an umbrella. This is the place where the tree roots are most actively taking in water, so during dry spells this is the place where you should water your trees – not near the base of the trunk. Drip line can also refer to a drip irrigation system, which delivers low quantities of water directly to a plants roots. The drip line in this instance refers to the place where the irrigation tubes have been laid. Earthing up is a process of pulling soil up around the bottom part of a plant in order to protect it from winter frosts. You might also earth up a plant to exclude some light, or to boost root growth. This is especially helpful for crops such as potatoes where longer roots will mean a more plentiful crop. This is the moment when your plant has germinated and you can first see the seedling plant poking its head above the soil. This is a plant that grows on another plant but is not parasitic. This just means it sources its own nutrients, rather that drawing them from the host plant. Ericaceous plants are plants that prefer acidic soil conditions, and will not tolerate lime found in alkaline soils. They are also sometimes known as calcifuge plants, and some good examples include heather, rhododendrons and lilies. If an ericaceous plant is getting too much lime, its leaves will turn yellow and it may even die. You can always grow ericaceous plants in containers if your soil is very alkaline. This is a term used to describe trees that are trained to grow flush against a wall or trellis, to save space or for decorative purposes. Usually horizontal wires are erected and the branches are tied in to encourage them to grow flat against the surface. Many people grow fruit trees such as apples and pears in this way. You will generally see this term in relation to strawberry plants; an everbearing strawberry plant is one which bears continuous fruit from early summer all the way through to autumn, as opposed to just one heavy crop in early summer. Evergreen plants do not lose their leaves and lie dormant over winter, unlike deciduous plants. Instead they keep their leaves and continue growing at a slower rate. They are more protected from the weather due to the leaves generally being thick and waxy. A conifer tree is a classic example of an evergreen plant. A hybrid plant is the result of two different plants being bred together to produce a new plant. F1 refers to the generation, with 1 meaning that the plant is first generation and has been bred from two original plants, rather than other hybrids. A hybrid plant is the result of two different plants being bred together to produce a new plant. F2 refers to the generation, with 2 meaning that the plant is second generation and has been bred from two first generation hybrid plants, rather than original plants. A fairy ring is the term used to describe a group of toadstools that have formed in a circular shape over a grassy area such as a lawn. This can become a problem for lawn owners, as the circles can increase in size over the years as well as causing unsightly brown or mossy patches. The remedy is to dig up and re-turf that area of the lawn, taking care not to spill any toadstools on the new area so as not to spread the fungal infection. A feathered maiden is the term usually used to describe a young tree (roughly one year old) that has grown side branches. Most plants require food known as fertilizer to grow and thrive. This can be applied in a number of ways, and the type of fertilizer you will use depends on the plant and other variables. Your local garden center will stock a wide range of fertilizers to suit your needs. A floating plant is a type of aquatic plant that floats on the surface of the water with its roots trailing and not attached to the bottom of the pond or feature. Floricane are fruiting-brambles that only produce fruit on second-year canes, unlike primocane brambles, which produce fruit in the first year. 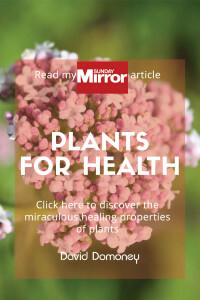 People often call plants grown for decorative purposes ‘flowers’, however this is misleading as the flower is actually the specific part of a plant that carries the plants reproductive organ. Flowers will develop into seeds or fruits containing seeds, and are therefore vital in the lifecycle of the plant itself. The flower of a plant is made up of this seed-bearing reproductive organ, often surrounded by petals. Foliage is a collective term that generally means a plant’s leaves, but can also include the stems and branches from which the leaves grow. This is a type of fertilizer that is absorbed by a plant through its leaves rather than through its roots. For this reason, foliar feeds are sprayed onto a plants leaves. This is a process of manipulating the conditions of a plant in order to get it to produce flowers or fruits before it would normally do so. For example, you might restrict the amount of light that your rhubarb plant is getting in order to produce an early growth of the crop. We use garden lines to help us mark a straight line for things like drills (where seeds need to be sown in lines). A piece of wire is stretched between two posts or upright canes to mark out where we want our straight line to be. Any plant that is sold ‘Garden Ready’ is ready to be planted immediately into the garden. These are great time savers, as they simply need planting into their position, with no need for further transplanting. A genus is a group of plants that are all related by having certain characteristics in common. One plant genus groups several different species together, for example the many different species of the rose plant, all come from the Rosa genus. This is the moment when a seed comes out of its dormant state and starts to grow. Once provided with water, warmth and light a seed will be able to germinate. This is a term that refers to the killing, intentional or not, of a tree by cutting off a ring of bark around the trunk of the tree. Sometimes this happens accidentally if a tree becomes strangled by something which becomes wrapped around it, such as the vines or roots of another plant. This is the point when a plant is ready to start producing and shedding seeds. This happens once a plant has finished flowering and is a natural development in its life cycle, often triggered by a change in conditions. This is the fusing of two plants together by joining a cutting of one plant to the rootstock of another, to create one complete plant. This is done in order to combine the root strength of one plant with the specific fruiting or flowering type of another, so it is possible to easily grow our favourite variety of apples for example, in any size and shape that we want. Ground cover plants are generally low-level foliage and flowers that spread easily to form a carpeted effect in your borders, or underneath trees. This helps to fill odd gaps, insulate your soil in winter and can also help to suppress weeds. Good examples include Juniperus Squamata and Alchemilla Mollis. Growing on is a term that generally means gradually moving small young plants to larger containers as they get bigger, before they are planted in their final position. The tip of a shoot where the plant is growing from. This describes the period of time when plants are able to grow. For a lot of plants, the main growing season is the time between spring and autumn. This refers to plants that generally can be grown outdoors but may need protection in winter, especially during periods of freezing temperatures and below. You might protect plants by moving them into a green house or cold frame, or wrapping them in various materials. A half-moon cutter is a garden tool consisting of a long handle and a half moon shaped metal cutter, often used to edge lawns. This is a process that helps plants that have been sown indoors to acclimatize to the temperature outdoors. 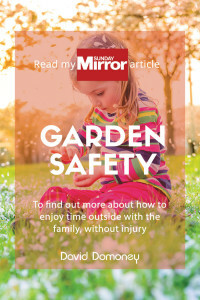 You can do it in several ways, either by moving them into a greenhouse or cold frame first for a few days, or by bringing them outdoors during the day and then bringing them back in at night, gradually allowing them more time outdoors. A plant’s hardiness is its ability to withstand cold temperatures and harsher climates. It’s not a fixed measure, and can depend on a lot of variables, but a plants hardiness gives you a good indication of how best to care for your plant. Very hardy plants such as Bergenia for example can be left planted in your borders over winter and are tolerant of cold conditions such as frost. A hardwood tree or shrub is usually a deciduous plant that bears flowers for pollination and has broad leaves. A rose bush is a good example of a hardwood plant. A plant is generally described as being hardy if it is able to remain outdoors over winter and can tolerate frost and cold conditions without becoming damaged. This is a word that refers to the stems of specific cropping plants such as potatoes, beans and peas. It is most often used to refer to the stem of such a plant after the crop has been harvested. Heavy soils generally contain lots of clay which can make them difficult to plant in. Due to their high clay content they don’t warm up quickly in spring, so it is useful to add some grit in order to allow air to penetrate the soil and stop it from becoming too waterlogged. This is a term we use when we are talking about taking cuttings of certain plants such as rosemary and lavender. These two shrubs can be hard to root, so you can grow them from heel cuttings. Choose a side shoot that is growing from the main stem, roughly 10 to 15cm long. Instead of cutting, carefully tear it off, making sure it retains a small sliver of bark from the main stem, known as a ‘heel’. This can then be treated as a usual cutting. Herbaceous plants are soft-stemmed perennial plants that become dormant during winter, with all their above ground growth dying back down to the root. The root system of the plant survives the winter, and growth resumes again in spring. Good examples of herbaceous plants include delphiniums and peonies. This is a garden tool with a long handle and a flat blade, used primarily for moving soil around to cover plants or make drills. This is a device used to aerate lawns, to allow more oxygen to the roots of the grass, which is helpful for keeping your lawn looking its best. This process can be done by pushing a garden fork into the soil, but for especially heavy soils, a hollow-tine aerator will extract plug of soil each time. Honeydew is a sticky substance that is often found on the leaves of plants that have been attacked by aphids. Aphids are common garden pests that feed on the sap of plant, and then secrete sticky honeydew which in turn attracts other insects such as ants. Horticulture is an umbrella term for many things related to plants and gardening, and is often used to mean the practice and management of growing plants and gardening. The level of humidity is the amount of moisture that can be found in the air. Some plants need very humid conditions, such as tropical plants, and some prefer the air to be drier. Not to be confused with a tasty Middle Eastern dip, in gardening terms humus is organic material which has been formed by the decomposition of plant and animal matter. This generally refers to a tomato plant that continues producing flowers and fruit until killed by frost. The main stem of the plant continues growing through the season producing a continual harvest of fruit. This is a word to describe the way flowers and clusters of flowers are arranged on a plant. Insecticides are chemical substances used to control and kill insects that commonly attack and eat plants. There are various different types depending on the target insect and type of plant. This is a crop which can be grown in between rows of another crop. This is a method called interplanting, and is employed to save space and get a higher crop yield from a small space. The two crops must be able to grow easily side by side without competing for space and resources. Many varieties of crop benefit one another when planted in close proximity; these are called companion plants. Asparagus and Basil, for example are companion plants. This is an automatic watering system that uses long thin pipes to supply a controlled amount of water to various plants around the garden. A knot garden is a type of garden design that uses small hedges and aromatic plants such as herbs to form an intricate knot shaped pattern, or Celtic style design. Pathways between hedges are often featured. When talking about plants, a lateral is a side shoot growing from the main stem of the plant. Lawn seed is simply a specific seed mix that you will need to use if you are planning on growing a lawn from scratch. They usually contain a blend of different grass types, its best to check which types it contains, as some types do better in shady/sunny conditions, or are more hard-wearing. Depending on the conditions of your lawn, and how much you use it, you will want a certain blend of grasses. Layering is when a shoot of a plant develop its own roots whilst still attached to the main body of the plant. Some plants do this themselves, but you can also make plants layer if you want to increase your plant stock. You need to make an incision along the stem of the plant, apply hormonal rooting to the incision and then tie it down into the soil, using a bamboo cane to ensure the tip of the stem is still facing upwards. When rain runs through the soil and causes the contained nutrients and minerals to drain away, we call this leaching. The main stem of a plant is sometimes referred to as the leader. Leaf mould is a great mulch materiel as it contains lots of nutrients for your soil. It is made by breaking down fallen or dead leaves until they have organically decomposed. A plant that is tall and spindly might be described as ‘leggy’. Sometimes plants grow this way if they aren’t getting enough access to light. Light soils are usually easy to work with because they contain very little clay and are therefore lighter. They often contain more sand and silt than heavy soils, and will warm up quickly. Light soils are improved by adding organic compost, for additional nutrients they may lack. Lime is a calcium component found in soil, particularly alkaline soils with a pH of 7 or above. Some plants thrive in soil that contains lots of lime, and some plants cannot tolerate lime at all. This is why it is important to find out the pH of your soil and choose plants accordingly, or take steps to alter the pH. This is used in ponds to stop water soaking in to the soil underneath. It is usually a large waterproof sheet made from rubber or plastic. This is a type of soil that is considered the best type to have as it is balanced, isn’t too heavy and drains water efficiently. Roughly loam soil will contain 50% and 50% silt and clay. This simply means a young tree, usually less than a year old. These are crops that are harvested during the main growing season for that plant. For example maincrop potatoes are harvested in august and September, as opposed to early varieties that are harvested through June and July. A marginal plant grows in the moist on the edge of a pond or stream, where the roots can easily access the shallow water. A good example of a marginal plant is flowering rush. This is the climate or conditions of one specific and usually small area, which are different from the climate of the surrounding area. For example your garden might have its own microclimate if it is sheltered from prevailing weather, or has heavy clay soil that retains water. This is a border that contains a variety of different plants, usually mixing both shrubs and herbaceous plants. Modules are very small containers that are used to grow seedlings. A module tray is a tray with lots of little compartments for growing seedlings, not unlike and ice cube tray. This is a plant that produces two flowers, one male and one female, rather than one flower that contains both male and female reproductive parts. The two flowers usually form on different parts of the plant. Moss is a flowerless green plant that grows in damp conditions over ground as a carpeted effect. It can be a problem in lawns, when moss grows in the grass and can be difficult to remove. Mulch is a substance used to cover exposed soil for several reasons; to protect the soil from erosion and weeds, to insulate the soil and plant roots over winter and to reduce erosion. Mulch can be biodegradable, for example organic compost, which breaks down over time and adds nutrients to the soil. It can also be non-biodegradable, for example slate chippings, which add a decorative element to your beds and borders. This is a type of lawn mower that cuts grass into very fine particles which can then be left on the lawn to break down and become part of the soil underneath. This usually refers to the place a plant was originally discovered growing, or can also be describing a plant that grows in the wild. This means to establish a plant in a new environment, causing it to adapt to conditions it might not have when growing wild. Nectar is a sweet fluid that is secreted by plants in order to attract pollinating insects that are beneficial to the plant. Honey bees then collect this liquid and turn it into honey. This is usually used to describe soil that is neither alkaline nor acid and has a pH of 7. This is the place on the stem of a plant from which new shoots, leaves or buds grow. This is an acronym for the three main chemicals used in fetilisers; Nitrogen, Phosphorous and Potassium. Sometimes people use a specific bed or border to grow seedlings and young plants before they are planted out into their final positions once they reach the appropriate size. This is called a nursery bed. All plants need nutrients to survive. These are often called a plant’s ‘food’ and when we talk about feeding plants, what we really mean is supplying nutrients. Plants get their nutrients though soils, organic composts and fertilsers. This is a small plant that develops naturally from a parent plant, and grows alongside it. If removed, it can grow separately as a new plant. An orchard is a garden or area where fruit trees are grown. This is a something that has come from either an animal or a plant, and breaks down and gives nutrients to plants if applied to soil. Compost is a good example of organic matter. These are plants that live underwater and release oxygen into the water around them, for example water violet. These are plants that derive some or all of their nutrients from other living plants. Many parasitic plants have unique roots, which will penetrate host plants, and which give them the ability to extract water and nutrients. A patio is an outdoor space that is adjacent to a house, usually in a back garden. It is often used for recreational activities or dining and is associated with patio paving slabs. Peat is a condensed mixture of partially decayed vegetation, such as moss, which has developed over thousands of years. It is popular with gardeners because it is high in nutrients and can hold water effectively. However, the extraction of peat has many negative environmental impacts. A perennial plant is any plant that lives for over two years. Perennial plants range from tender plants that will live for a few years, to large trees that can survive centuries. Perpetual is a plant that will continue to flower or provide foliage through the growing season. A pest is a destructive insect or animal that attacks crops and flowers. pH is a measure of the acidity or alkalinity of substances such as soil and water. A soil with a pH of 7 is neutral, while a soil with a pH below 7 is acid, and above 7 is alkaline. The majority of plants prefer soil that is neutral (or close to neutral) but some groups of plants are known to prefer specifically acid or alkaline soil. Ericaceous plants, for example, need soil with a pH of below 6, and cannot tolerate the lime found in alkaline soils. On the other hand, brassicas are considered to be lime-loving and are well suited to alkaline soil. You can easily test the pH of your soil using a DIY testing kit found online or in garden centres. Photosynthesis is a process used by plants which absorb light energy and use it to turn carbon dioxide and water into glucose and oxygen. These are then used to fuel the plant growth and other activities. Pinching plants is a form of pruning that encourages fresh branching on a plant. It works by removing the main stem, which forces the plant to grow two new ones. Planters are containers that plants can be inserted into and grown as if in the ground. Plug plants are seedlings which have germinated and are grown in trays of small cells, making them easy to push out to be inserted or plugged into there new growing location. Pollination is the transfer of pollen from the male part of a plant, to the female part of the plant which results in the creation of seeds. Pot on or potting-on is the transfer of plants from one location or pot to another pot for more root space. This is a young but well-established plant that is ready to be transferred to a pot, container or hanging basket. This is the process of transferring a seedling or plant to a container or pot. A preform is usually a shaped plastic, watertight structure and can be inserted into a hole and filled with water to create a pond. Pricking out is the process of moving germinated seedlings into a new larger tray. It is done after the first leaves appear and enables stronger root establishment. Primocane varieties are fruit brambles which produce fruit in the first year, unlike floricane varieties, which produce fruit in the second year. This is a word used to describe the various methods of growing plants organically using parts from a previous plant, eg growing from seed or cuttings. Pruning is a common gardening process that consists of cutting away sections of a plant in order to promote further growth or achieve a desired look or size. You might also prune a plant or tree in order to remove dead or overgrown branches and stems. Quarantine means to keep plants separate from one another to avoid cross-contamination. For example, you might keep a new plant separated from your other plants to begin with, to ensure it is pest and disease free before integrating with other plants. A rake is a garden tool, which usually has a long handle and metal or plastic tines at one end. Different types of rake can be used for different jobs such as collecting leaves, moss or hay. Repotting is the process of moving a plant from one pot to a new one. This could be because it has out-grown it’s current pot, or simply because the soil in the current pot needs refreshing. A rhizome, or rootstock, is the lower stem of a plant, which when planted, grows roots and becomes a new plant. A rockery is a collection of rocks and stones which have been arranged to create a garden display. A root is an organ of a plant, which spreads out in search of nutrients and water. They also help to establish a plant into a firm position. This is a crop that is grown primarily for its edible roots, for example carrots and potatoes are both root crops. Root cutting is a technique whereby roots are cut from a parent plant and can then be propagated to grow new shoots and eventually, new plants. A rootball is a mass of roots which form at the base of a shrub or tree. Rooting hormones are natural or synthetic hormones which stimulate root growth in plants. Most root cuttings will produce their own rooting hormones, but they can also be added to increase root growth. The rootstock of a plant generally refers to the portion of the plant which is underground, including the root system. The roots of a plant are often responsible for determining the eventual size of a plant, so sometimes certain rootstocks are grafted onto other plants in order to grow plants of a particular size – eg dwarf varieties. A rosarium is a garden or display of roses. This is a term used in reference to growing potatoes. Potatoes plants are grown from ‘tubers’ and these tubers have a specific end called the Rose End. You can identify it easily, as it will be the end of the tuber with the most eyes. A circular arrangement of leaves or foliage that can occur naturally or be arranged by hand. A rotary mower is a lawn mower that had a blade which cuts in a circular 360 degrees motion. A runner is typically a plant that has leafless shoots which grow from the base of the plant and along the ground, or just beneath the soil, and can form new roots at the nodes and new plants from buds. Sap is a liquid consisting of water and nutrients, which is transported through a plant. This is a process of heavy raking of the lawn which removes thatch – a fine layer of old grass stems, dead moss and other debris that gets compacted in the grass over time and can stop water and nutrients getting to the soil below. I recommend scarifying your lawn in the autumn, raking the lawn vigorously but taking care not to damage the turf below. A Scion is the upper part of two plants which have been combined through grafting. A seed is a plant embryo in a protective outer coating. They are created through pollination and will germinate to produce a new plant. A seed drill is a tool that allows the operator to plant out many individual seeds in soil at a chosen depth and spacing. A seedbed is the bed or environment in which seeds have been planted. A seedling is essentially a very young plant – usually one that has recently germinated from a seed and sprouted above the soil. Seedling are often grown in very small pots, or seed trays and then transferred to larger pots once the seedling has grown to a certain size. A self-fertile or self-pollinating plant does not need pollen from another plant in order to bear fruit. Many types of apple tree, for example, need two trees near to one another to pollinate each other and begin producing fruit. However, some trees and plants are able to bear fruit without the need for cross-pollination and these are known as self-fertile. A self-seeder is a plant that produces and sows its own seeds, often resulting in many more plants springing up around the parent plant. A semi-evergreen plant is a perennial plant that retains some foliage all year round. It does not lose all its foliage over winter, like a deciduous plant. Semi-ripe cutting is a technique used to propagate a wide range of plants by cutting a stem below the leaves, which can then be used to grow a new plant. Serpentine layering is a method used to encourage roots to form at several points along one stem. It is done by looping the stems of climbers in and out of the soil which encourages the root formation. Pond shelves are ledges or shelfs, usually beneath the water and around the edge of a pond, where many species of aquatic plants will thrive. It is also where the majority of micro-organisms, which can keep a pond naturally clean, will live. A shoot is a section of growth from a plant; sometimes new stems coming from the main stem are described as shoots. A side-shoot is a shoot growing form the side of a plants stem. Simple layering is a technique where shoots are bent down to ground level, in order to form new roots while still attached to the parent plant. Slips are cuttings taken from a mature sweet potato plant. Softwood cuttings are stems taken from young shoots, which can be propagated to grow new plants. Softwood cutting will root readily. A specimen plant is an unusual or impressive plant or tree that is grown as a focus of interest in a garden. Spiking is a technique used to get air into the soil of a lawn and also to encourage the storage of rain water to sustain the lawn grass. It can be done by using a garden fork, stick or lawn aerator to make holes in the lawn. Spiking has many benefits such as reducing thatch, improving roots and increasing drought resistance. A spore is a unit of asexual reproduction that form an important part in the lifecycle of plants, algae and fungi. A spreader is a tool which distributes fertilizer, sand or seed evenly. These are rakes which are designed to get between the grass to remove old thatch and dead material from the grass roots. Staking is a technique used to train a plant to grow vertically or protect it from snapping in windy conditions. It is done by inserting a stake into the ground next to a plant and often tying the stake to the plant for extra security. A tree or shrub that has been trained to a particular height, usually with a long bare stem and foliage at the top. A Stool is the rootstock of dormant plants which is used for propagation. Stopping is a technique used to make plants, which usually grow straight stems, bushier. It is done by pinching the very tip of a stem, which encourages the development of side-shoots. Stratification is a process used on seeds to simulate winter conditions and results in the seed germinating. It is also used to prepare seeds for the conditions they will be grown in and can be conducted to imitate both warm and cold conditions. Striking is the term sometimes used to refer to encouraging roots by taking cuttings. A strimmer is a hand-held electric or petrol-powered garden tool, which is used for cutting grass and weeds. This is the layer of soil beneath the topsoil, which is usually less fertile and is sometimes compacted and prone to waterlogging. However, it can contain valuable minerals that deep-rooting plants can thrive off. This is the repeated sowing of fast-maturing crops, such as radish, which will continue to produce through the season. Succession planting is ensuring that the various things you plant will be flowering at different times of the year, rather than having all of your plants bloom in one or two seasons. This helps your garden to hold some colour and structure all year round. Suckers are shoots that grow from the roots of plants. If left, they can grow into a separate plant. A sward is a large expanse of turf, which is usually quite close-cut. These are weed-killers that can effectively kill weeds by moving through the plant to the roots after being sprayed onto the foliage. A tap root is the thicker, dominant root of a plant, from which many other roots sprout. A plant may be described as tender if it is sensitive to cold temperatures and frost. Tender perennials need to be moved indoors or to a greenhouse or cold frame over winter to protect them. They are unlikely to survive a British winter as they are often native to warmer countries. A tendril can be a twining stem, leaves or petiole, that is used by climbing plants to attach themselves to other plants or surfaces and sometimes as a method of invasion by parasitic plants. Thatch is a build up of dead organic matter on a lawn, which should be removed to allow greater water, nutrient and light penetration for grass to grow effectively. Thin is a method used to improve the quality and growth of buds, flowers and seedlings, by removing some in order for the remainders to thrive. This is a broken-down surface layer of soil that has been prepared for seeds to be sown. Tip layering is a technique used to encourage new roots to grow, by burying the tip of a shoot in soil. It is particularly effective in brambles such as blackberries. Topiary is a popular horticultural practice where hedges and other plants are clipped into clearly defined shapes. Topsoil is the top layer of soil, which is normally darker and more fertile than the soil underneath. Maintaining a good quality topsoil goes a long way to helping your garden plants. This is a common process of moving a plant from one area in your garden and planting it in another. You might do this for several reasons, but the most common is transplanting a seedling that has germinated indoors, outside to its final growing position. Trellis is a fence with an open framework, typically used to support and display climbing plants. A trowel is a small hand-tool used in the garden for digging. A tuber is a swollen part of the root of a plant, which stores food for dormant plants. These tubers often have buds, or eyes from which a new plant can be grown, for example, potatoes. Turf is a patch of grass which has been cut out from the ground, so it can be laid elsewhere. Usually turf comes in rolls which are then laid out to become a lawn. Underlining is a layer of builders’ sand or matting that is put over the soil when a pond is being constructed. It is an extra level of protection to prevent sharp stones from making holes in the pond lining. Underplanting is a method of planting low-growing plants underneath taller shrubs and trees, to fill gaps and areas of bare soil. Underplants are often shade-loving plants that are hardy and drought-tolerant, such as Epimedium. Plants that are described as ‘upright,’ or of an ‘upright growing habit’ generally have stems and branches that grow upwards vertically, as opposed to spreading outwards, climbing, or growing up and out at the same time. Leaves which are of two distinct colours are called variegated. They might be edged, striped or dotted with a second colour. A good example is variegated holly – which is edged with cream, silver or gold. This word is often used in place of the word ‘cultivar’ and it simply means a plant which has evolved slightly differently and therefore may have slight differences aesthetically or in growing habits to the original plant. Sometimes plants are cultivated specifically to create new varieties. This is a term that is important for indoor gardening and greenhouses. Plants often need a certain degree of ventilation when growing indoors – this means air needs to flow around the plant to regulate the temperature and help growth. This is a broad term used to describe a range of different plants that live in water or in waterlogged areas such as a bog. This refers to soil which has been saturated with water, which can happen after prolonged periods of rainfall, or can be due to over-watering, or poor drainage. Waterlogged soil is not good for most plants as it can cause the roots to rot. Weathering is a type of erosion which can cause damage to plants and is caused by different weather such as sun, wind and rain. Weathering can also be caused by plants when the roots damage rocks and soil. Any plant growing in the wrong place is considered to be a weed. Well-drained soil is soil that does not become waterlogged and allows surplus water (which the plant does not need) to drain away rapidly. These are soils that hold a lot of water and are usually heavy or peaty in composition. They will also dry out much slower than other soils and can even cause disease to occur in some types of plants. A whip is a slender shoot or plant that does not have branches. A wilt or wilting is when a plant appears to slump over or hang. This can be caused by overwatering, not enough water or even because the foliage is too heavy. Worm casts are coils of soil that have been digested by worms. Wounding is a technique used to stimulate rooting by exposing the inner part of a stem. This is a garden, often in arid or dry climates, that can easily withstand long periods of drought with little or no irrigation. It is often employed for style reasons as well as practicality. Xerophytes are plants that naturally occur in arid climates and can withstand periods of drought. Often such plants have special mechanisms for water storage, such as succulents and cacti. This is a horticultural and agricultural term used to describe the amount of produce that has been harvested in a season. So, a high crop yield means that the harvest of that particular crop has been plentiful. Zinc is an important element found in soils that is essential for growing produce as it gives fruits and vegetables their sweet flavor. Zinc can also be found in many fertilisers.